The most fun day out in the summer! 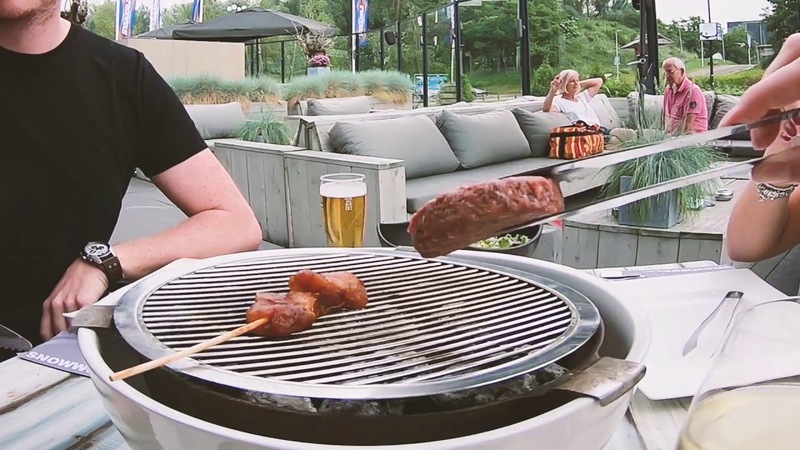 A wonderful day in the snow followed by an extensive barbecue on our sunny terrace - the most fun summer day out in the Netherlands! The table barbecue is served with fries, mixed raw vegetable salad and various sauces.You can make an unlimited number of side orders with all table barbecues. Excluding equipment hire.Valid from 1 April 2019 to 30 September 2019. The barbecue contents may vary. If you are vegetarian, we can replace the meat with vegetable skewers, meat-replacement products or even fish if desired (salmon, tuna, butterfish and scampi). If you would like fish in addition to meat on the barbecue, then this is available for a surcharge of €5.00 p.p.